REVOLUTIONS is Revvvvvvvvving Up for Release! We know that it seems it is taking a long time to launch REVOLUTIONS, but in the end we believe the wait will have been well worth it. Just check out the cover for a small sample of what to expect inside! 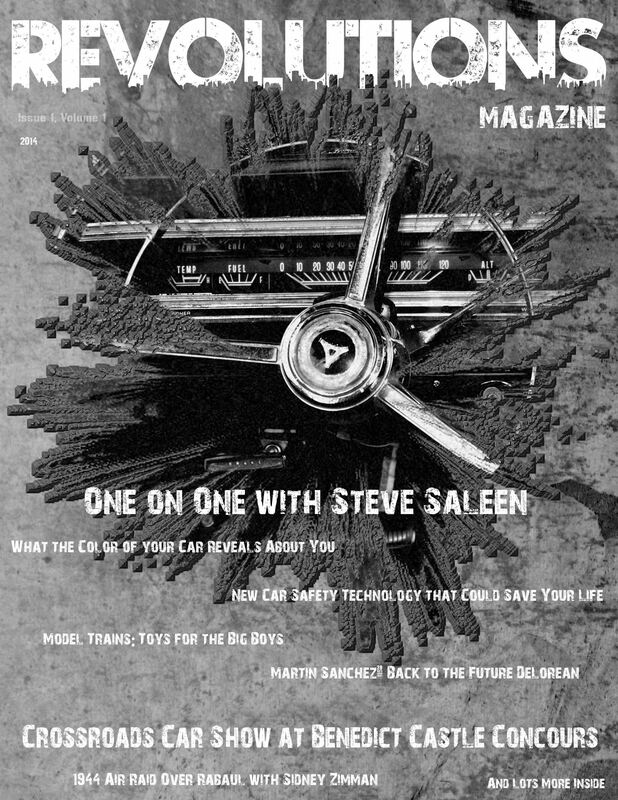 Besides featured winners of our Women & Wheels contest, you will be reading interviews and features with such major players in the automotive world as Steve Saleen and George Barris. Thanks to VIP passes we will take you behind the scenes of the Crossroads Car Show at Benedict Castle Concours, Warner Bros. Studio with George Barris and comedian/car enthusiast Jeff Dunham, Mustangs Across America with Steve Saleen, and so much more! You will also read about famous movie / television cars and their owners, and be treated to some fantastic photography.